An interview with sisters, Irene Oliver-Lewis and Sylvia Camuñez. 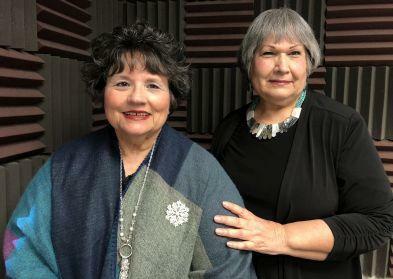 Irene Oliver-Lewis and Sylvia Camuñez at KRWG-FM studios. 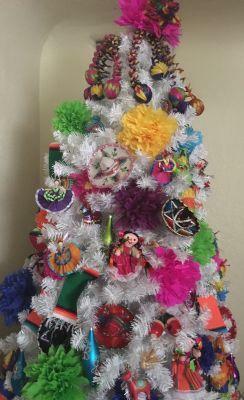 Sylvia Camuñez's Mexican themed Christmas tree. 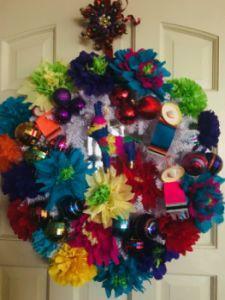 Mexican themed Christmas wreath designed by Sylvia Camuñez. 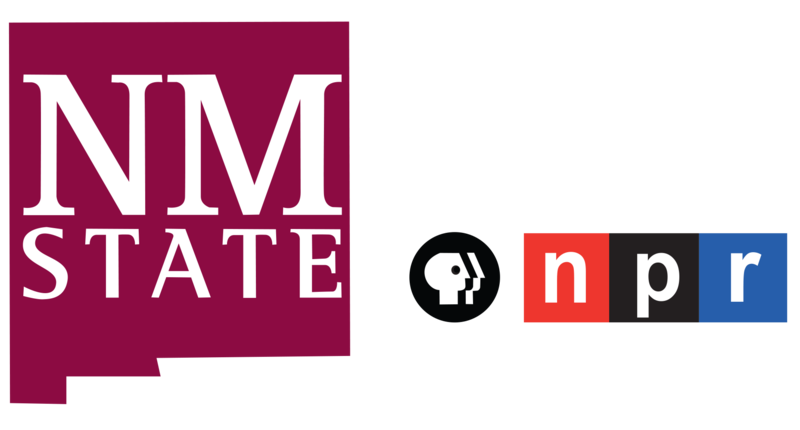 Las Cruces, NM – On this edition of PUENTES a la comunidad, bridges to the community, host Emily Guerra met with Irene Oliver-Lewis and Sylvia Camuñez, sisters and native residents of the Mesquite Street historic district, the original townsite of Las Cruces. They will share fond New Mexico Christmas memories and traditions, such as their mother’s secret for biscochos and red chile, and Sylvia's Mexican themed Christmas tree and wreath with Irene's paper flower creations.